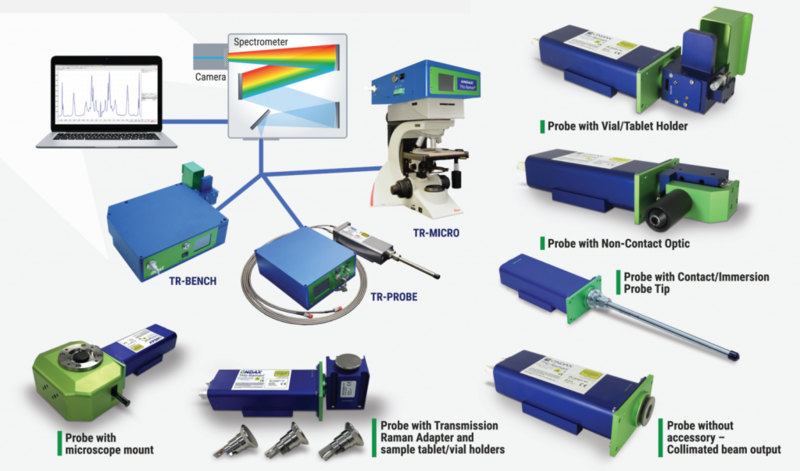 The TR-PROBE is a compact, robust THz-Raman probe that enables in-situ reaction or process monitoring, and can also be flexibly configured with a variety of sample interface accessories, including immersion or contact probe tips, a convenient vial/tablet holder, a Transmission Raman adapter, a microscope mount, or a steerable non-contact optic (see options below). 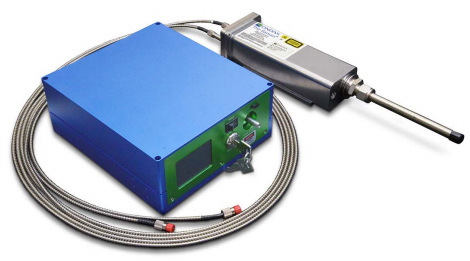 A separate CleanLine™ laser provides ASE-free excitation via a multimode fiber, enabling the probe to operate in harsher environments where electrical connections are not permitted. Full Raman spectrum of the pharmaceutical compound Carbamazepine showing both the THz-Raman “Structural Fingerprint” and traditional “Chemical Fingerprint” regions. Note higher intensity and symmetry of THz-Raman signals.